The Elite Races at the 2017 FSU Invitational/Pre-State will be the marquee events. The boys will start the action bright and early at 7:40 a.m. on the beautiful Apalachee Regional Park course. In the field is 13 of the top 20 individuals in Florida lead by state leader Trevor Foley. Foley has won four of five races this season including last week's FLRunners.com Invitational Race of Champions. His lone defeat comes at the hands of nationally ranked Dustin Horter at the Trinity Valkyrie Invitational in Kentucky. The key for Foley's success this season has been consistency. He's run 15:20 in three of those five meets. The Citrus Park Christian senior was sixth last year at Pre-State and his eyes set on the sub 15 meet record set by former Leon High School standout Sukhi Khosla. Outside of Kentucky, Foley hasn't been challenged much in Florida, but that will change against the likes of Paul Stafford and Joshua Collins. Stafford, a senior at Lake Wales opted to not run FLR18 in an anticipated match up with Foley that will have to be postponed until Saturday morning. 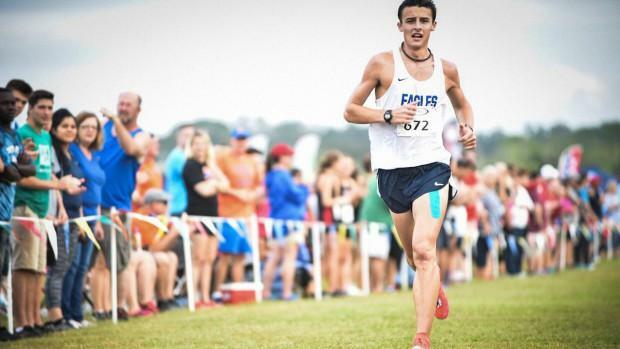 He has two wins on the year including the Katie Caples Invitational where he beat several entries in this field head to head including Nathan Jubran of Bishop Kenny and Trent Turbyfill of Trinity Prep. Stafford has a visit set up to see the Seminole campus and program following the meet, so we'll see if that serves as additional pressure to perform well. Collins has the 11th fastest time in the field, but don't let that fool you. He has mostly ran in South Florida with little competition. He and his Belen Jesuit teammates went up to North Florida to try and get a test in before Pre-State, but came away with easy victories. This will be their toughest meet of the year and his as an individual. He finished third last year and is the top returner. The field boasts 12 guys under 16:00 and 30 under 16:30. Other names to watch include Turbyfill and Jubran, Ben Hartvigsen of Sarasota, Tristen Montalvo of St. Cloud, Deshay Fernandes of Columbus, Andrew Miller of Fleming Island, and two of Georgia's fastest in Wesley John and Harrison Morris of Oconee. Hartvigsen, Montalvo, and Fernandes finished second, third, and fourth, last week in the FLR18 Race of Champions. On the team side, I'm really excited to see Trinity Prep versus Belen Jesuit. The Saints have won four straight 2A Cross Country Finals and are looking for a fifth in 2017. Their toughest competition will come from Belen Jesuit who was third at this meet last year and third at the 3A Cross Country Finals. Both teams have a strong number one in Trent Turbyfill and Joshua Collins. The Saints have a faster 2-3 and team average, but Belen has the better 1-5 split of just 55 seconds. Trinity Prep has been known for amazing spreads in the past so this one could come down to the end of the rotation. Steinbrenner, one of the favorites along with Oviedo in 4A, should also contend for a podium spot.